It must be the age, or the lack of frequent use of some of the sites, but I keep forgetting some URLs. I think I'd better collect here a bunch of URLs that are important for my use of Perl. Some of them I use daily and thus I don't really need to remind myself, but can be useful for others to have. Some others are heavily linked from MetaCPAN and that's how I get to them. And then there are a few that I rarely use, but when I need them it would be handy to have them in one place. MetaCPAN the search engine I use to access the data on CPAN itself. (There is also search.cpan.org, but IMHO it should not be recommended any more. It should be certainly clarified that there is nothing "official" with this site. Even though it is a subdomain of cpan.org it is still an independent site.) I rarely find a reason to go to cpan.org, though the list most recent Perl releases is quite useful. blogs.perl.org where quite a lot of Perl developers write and discuss stuff. Perl Monks where we can ask questions and get good answers. perldoc.perl.org provides HTML version of the standard documentation though I prefer the one on MetaCPAN. I just wish the standard PODs were integrated into MetaCPAN better so I would not need to send people to two sites for searching. p3rl.org is a link shortener for some Perl related pages. I don't think I have ever used it, but I know some people who love it. List of all Perl-related mailing lists. Or at least most of them. Perl Mongers list of the Perl Monger groups for when you visit a place, you can meet other Perl developers. Perl Weekly, is one of the sites I publish together with Yanick Champoux Once in a while I need to look up an article I remember was posted there. So I check it in the list of all the articles. 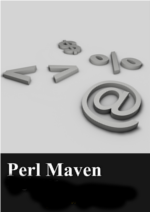 Perl Maven another site I publish, but more and more frequently I need to use the search box at the top to locate old articles. Perltricks written mostly by David Farrell has interesting and nicely formatted articles. This is the only other site I am aware of (besides the Perl Maven site you are reading) where the author actually expressed a desire to bring in more readers. and Programming Perl, the sites maintained by brian d foy and branded to the respective books he wrote, are useful for keeping up with new Perl features, as well as reading deeply analyzes about some existing functionality. Map of CPAN Namespaces as tiles. cpXXXan snapshots of CPAN for specific versions of Perl. CPAN Cover - test coverage report of a number of CPAN modules generated by Devel::Cover. cpan.io is a new site. I have no idea how well it will work out. CPAN Testers while it is "heavily linked" from MetaCPAN, and I visit it quite often (so I don't think I'll forget the URL) but it might be worth mentioning separately as it has plenty of "subsites" with all kinds of extra information. perl.org is called the "home of perl", but I rarely find a reason to go there. Once in a while perlnews.org posts some news article, but unfortunately it could not gain a prominent status as the announcements on use.perl.org had. I don't need the main site of The Perl Foundation too often, but I follow the news feed on their blog. The Built in Perl is a nice looking site that shows a number of companies and personal projects built using Perl. I don't frequently visit it but if you try to prove someone that others are also using Perl, this might help. Perlbuzz is mostly a Twitter feed with Perl related news items that are then collected into a weekly blog-post. The Perl Tips of Perl Training Australia is a collection of some very good Perl-related articles. There is also a newsletter so you won't miss a newly published article. Once in a while, when I have time, I look at Perl 6 and at Rakudo, but unfortunately I rarely have time for these. 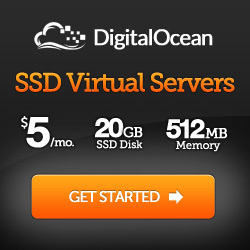 (*) I think these sites should be (better) integrated into MetaCPAN.